Sea urchin embryo development. 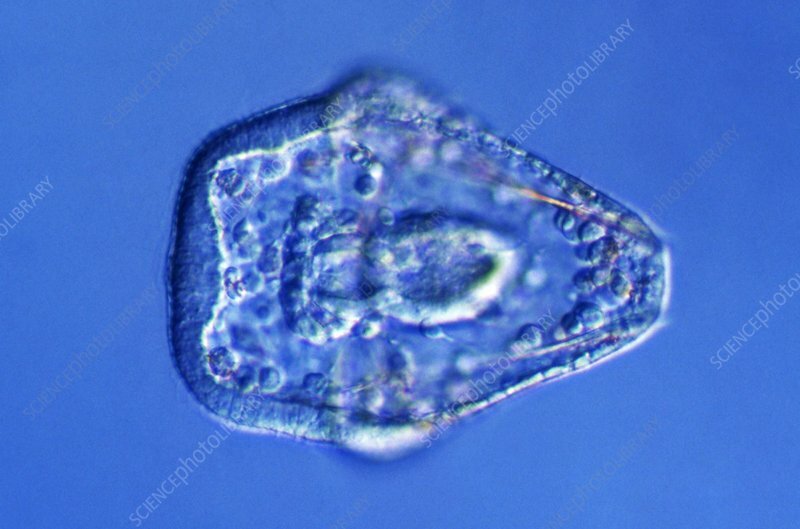 Differential interference contrast light micrograph of a sea urchin (Paracentrotus lividus) embryo during the prism stage of development. The prism stage is the first larval stage of the embryo. Here, the secondary mesenchyme cells and the tip of the developing archenteron (gut, left) can be seen. Magnification: x250 when printed at 10 centimetres wide.